Bài học Unit 9 Deserts phần Language Focus cung cấp nội dung ôn tập về một số từ nối "So, but, therefore, however". Therefore (formal) và so (informal) cho biết rằng điều được nói đến là kết quả hợp logic của những gì được nhắc đến trước đó. Ex: It was still painful so I went to see a doctor. Therefore có thể đứng ở nhiều vị trí trong khi trong khi đó so chỉ có một vị trí duy nhất là giữa 2 mệnh đề. Ex: Al didn't study. Therefore, he failed the test./He, therefore, failed the test./ He failed the test, therefore. Một số liên từ khác như as a result (formal); consequently (formal); then cũng có thể được dùng để diễn đạt kết quả. Ex: Al didn't study. Consequently, he failed the test. ​However và but diễn tả hai điều trái ngược nhau. ​Ex: It was cold, but I still went swimming./ It was cold. However, I still went swimming. However có thể đứng ở nhiều vị trí trong câu trong khi but chỉ có một vị trí duy nhất giữa hai mệnh đề. ​Ex: Mary is rich. However, John is poor./ John, however, is poor./ John is poor, however. 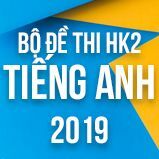 Một số liên từ khác như while; whereas; on the other hand cũng có thể được dùng để diễn đạt sự tương phản. Ex: I don't want to be late for the meeting. On the other hand, I don't want to get there too early. Add so or but and a comma where appropriate. I didn’t have an umbrella…………….I got wet. I didn’t have an umbrella………………I didn’t get wet because I was wearing a raincoat. The water was cold……………I didn’t so swimming. The water was cold……………I went swimming anyway. Luan’s directions to his house weren’t clear………………Binh got lost. The directions weren’t clear…………….Binh found Luan’s house anyway. Her friend lied to her ………………..she still likes and trusts him. Her friend lied to her………………..she doesn’t trust him anymore. I didn’t have an umbrella, so I got wet. I didn’t have an umbrella, but I didn’t get wet because I was wearing a raincoat. The water was cold, so I didn’t so swimming. The water was cold, but I went swimming anyway. Luan’s directions to his house weren’t clear, so Binh got lost. The directions weren’t clear, but Binh found Luan’s house anyway. Her friend lied to her, but she still likes and trusts him. Her friend lied to her, so she doesn’t trust him anymore. Underline the correct alternative in the following sentences. Dan didn’t study for the exam, however/but Lan did. You could fly via Vienna; but/however it isn’t the only way. They have lived next door to us for years, yet/however we hardly ever see them. My friend and I were tired, so/however we went home early. We had wanted to stay until the end of the game, but/however it got too late for us. I understand your point of view. However/Although I don’t agree with it. The normal pulse for an adult is between 60 and 80 beats per minute, so/but/however excitement will make a pulse much faster. The food didn’t look appetizing, but/however many people started eating. Dan didn’t study for the exam, but Lan did. You could fly via Vienna; however it isn’t the only way. They have lived next door to us for years, yet we hardly ever see them. My friend and I were tired, so we went home early. We had wanted to stay until the end of the game, but it got too late for us. I understand your point of view. However I don’t agree with it. The normal pulse for an adult is between 60 and 80 beats per minute, however excitement will make a pulse much faster. The food didn’t look appetizing, but many people started eating. Add so, therefore or however where appropriate. He worked hard,……………….he could earn much money. The shrimp was only 2 dollars a kilo this week,……………….I bought three kilos. He’s been studying really hard, …………………….he can pass the exams. She is still not good at Maths,……………she cannot be the best student in her class. OK, you can take Chemistry as your major. ………………. you should remember that it is not easy to learn Chemistry. The boy has chosen to do an MBA programme in Australia. …………..I think you should let him go. It was already 6 p.m.,…………….we closed the office and went home. Advertisers often say that their products are the best. ……………….the real quality is not as good as it is advertised. He worked hard, so he could earn much money. The shrimp was only 2 dollars a kilo this week, so I bought three kilos. He’s been studying really hard, so he can pass the exams. She is still not good at Maths. Therefore she cannot be the best student in her class. OK, you can take Chemistry as your major. However you should remember that it is not easy to learn Chemistry. The boy has chosen to do an MBA programme in Australia. Therefore I think you should let him go. It was already 6 p.m., so we closed the office and went home. Advertisers often say that their products are the best. However the real quality is not as good as it is advertised. --> It rained a lot. However, we enjoyed the holiday. --> We enjoyed the holiday, but it rained a lot. --> The weather was bad, so we didn't enjoy our holiday. --> We study hard. We, therefore, pass the final examination. --> Tim is sleeping, so you can't speak to him. --> I told the absolute truth, but no one would believe me. --> I told the absolute truth. No one would believe me, however. --> Simon was busy. Therefore, he couldn't come to the meeting. Như vậy là các em đã xem qua bài giảng phần Language Focus Unit 9 Deserts chương trình Tiếng Anh lớp 12 về sa mạc. 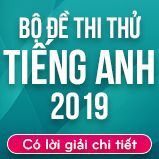 Để ôn tập ngữ pháp vừa học mời các em tham gia thực hành Trắc nghiệm Unit 9 lớp 12 Language Focus. I went to buy a Rolling Stones CD ________ the shop didn't have it. Anna needed some money, ________, she took a part-time job. Julie has a guitar ________ she plays it really well. Nếu có gì chưa hiểu các em có thể đặt câu hỏi với cộng đồng Tiếng Anh HỌC247 ở mục hỏi đáp để được giải đáp nhanh nhất. Sau bài học Language Focus này các em chuyển qua bài học mới Unit 9 Deserts - Vocabulary kế tiếp. Chúc các em học tốt!